A Swiss food company is about to become the first European food importer to make the supply chain of its canned tuna fully traceable using distributed ledger technology. Gustav Gerig AG will include the Pacifical logo on the traceable can lids of the “Raimond Freres” brand. 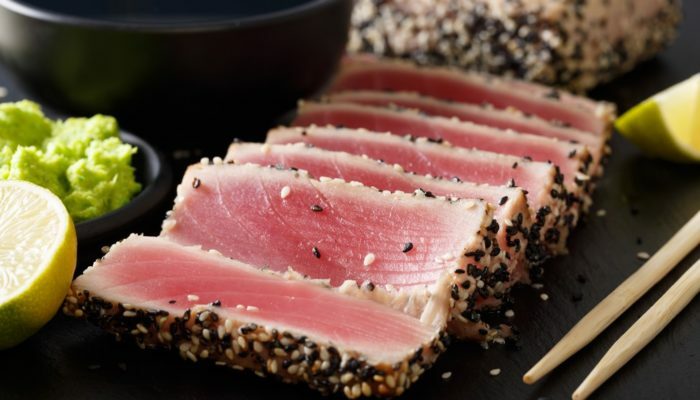 Pacifical is a global tuna marketing company jointly set up by the eight island nations of the central Pacific: Federated States of Micronesia, Kiribati, Marshall Islands, Nauru, Palau, Papua New Guinea, Solomon Islands, and Tuvalu. The organization, which represents 25 percent of the world tuna stocks, promotes the trade of MSC certified sustainably caught free school skipjack and yellowfin tuna. At the forefront of traceability since 2011, Pacifical partnered with Bangkok-based blockchain company Atato in 2018 to develop a supply chain initiative using distributed ledger technology for its MSC certified tune. The blockchain platform will cover more than 220 large fishing vessels, the entire supply chain and chain of custody of approximately 35 million tuna fish caught annually. The goal is to provide an unprecedented level of transparency and traceability in order to ensure the sustainability of the tuna catch. MSC tuna can lids involved in this project will carry the Pacifical logo and a QR code which provides access to the blockchain viewer website where consumers can track all the relevant information regarding the fish in the can. The Raimond Freres brand was a pioneer in Switzerland for introducing MSC certified tuna into the market. Consumers will now be able to fully trace the fish they buy from the catch to the final product processing via the Ethereum blockchain. Information includes which captain and vessel caught the fish, the time and area, as well as where and when it was processed. Atato, the technology company responsible for the development of the distributed ledger platform, was founded in 2017 and leads the enterprise innovation on blockchain in partnership with ConsenSys, Modex, Amazon Web Services, Microsoft Azure, and IBM Hyperledger. Related Reading: Can Blockchain Make Fraudulent Fisheries a Thing of the Past? A number of blockchain projects for supply chain purposes are underway around the world. Fish-related initiatives include Provenance’s fight against illegal fishing and human rights violations. The technology, currently being tested by many food companies, allows fishermen to record their catch by sending a simple SMS instead of the legacy system of paper records, which are transferred over the blockchain as the catch moves up the supply chain. Similarly to Atato’s product, customers will then scan the label to verify the entire history of the catch. A Forbes report found that as many as one in three seafood products in the United States were incorrectly labelled and some operations have even replaced what is presumed real seafood with chemically created “fish” products. Additionally, illegal, unregulated, and unreported (IUU) fishing is prevalent and such incidences may cost the industry over $10 billion each year.